I know it's commonly used in the sporting world and I've seen it start to make its way into the industrial sector especially in the summer months when sweat can be both annoying and dangerous. I'm wondering what is dry evaporative technology and how does it work? Generally, our bodies sweat to cool us down. This can lead to dehydration as moisture is expelled from the skin and, of course, this creates concerns for overheating in warmer job environments (chefs, athletes, outdoor construction and landscaping, etc). By understanding and exploring the way our bodies cool naturally, science has made great strides in the development of cooling technology, one of the latest being dry evaporative materials. Combining manufactured materials with evaporative principles, an array of items (hats, headbands, towels, and vests) have been developed to capitalize on scientific principles of the cooling process (read New Trends in Equipment to Help Outdoor Workers Beat the Heat). Using fresh water, these items release the moisture via evaporation to cool workers down. 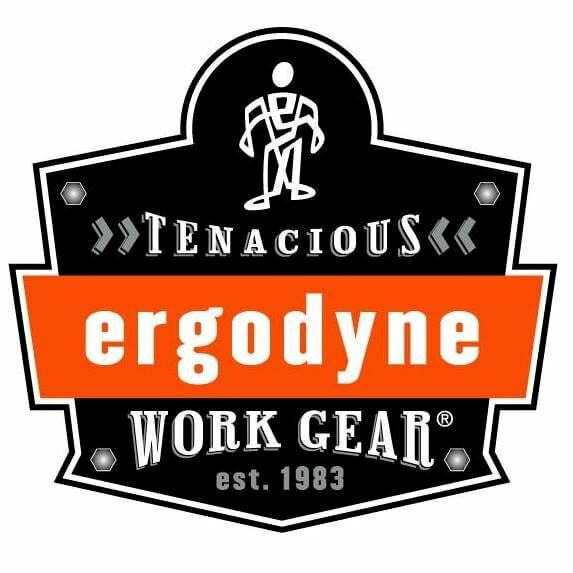 At the same time, by pulling heat from the body, dry evaporative gear helps workers retain internal moisture longer so their bodies do not have to work as hard to cool down in warmer environments. Consider the benefits of a vest created with this technology. A close-fitting garment that covers most of a worker’s torso means that a large part of his or her body is kept cool longer. Using the vest properly can keep the worker cool for up to three days. Since the idea is for these garments to be worn consistently, antimicrobial treatments are used on the items to prevent the growth of bacteria, molds, and other contaminants. Of course, comfort and functionality are always of concern when discussing any type of gear for workers. Dry evaporative technology gear has been created with both comfort and function in mind. 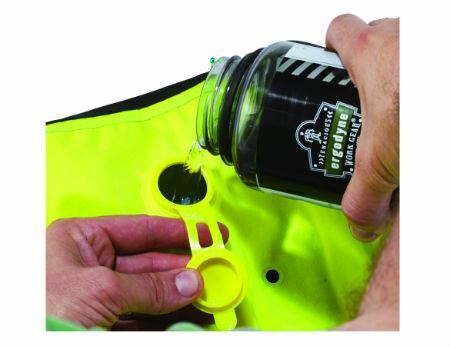 Many of these materials are not just soft, they are usually reusable, washable, and able to be worn without compromising other protective clothing or personal protective equipment (PPE). Keep in mind, dry evaporative technology items are not intended to replace cooling stations, water intake, sun protection, and other protective gear (learn more best practices in Beating the Heat), rather they are affordable, supplemental cooling options that assist in the effort to keep workers cool and healthy on the job regardless of the temperature. Have a question? Ask Alsie here. View all questions from Alsie Nelson.